Bullseye frits are made from crushed, screened and magnetically cleaned Bullseye Compatible sheet glass. 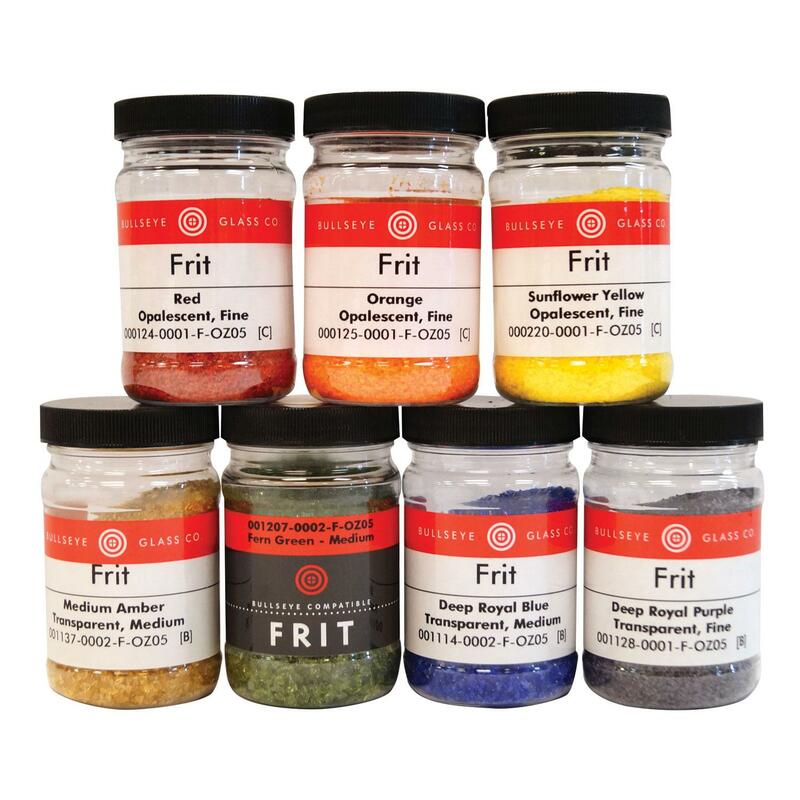 Sample seven different colors of transparent and opalescent glass in two different grit sizes, fine and medium. Colors may vary. Packaged in convenient 5 oz. jars. A great introduction to an essential material! 90 COE. Lampworkers can find a huge selection of glass rods and embellishments for their glass beads at Delphi. Find moretti rods, millefiori, glass cane and everything in between! Delphi Makes It Easy: All flameworking glass is given a COE, or coefficient of expansion, for easy reference. This number tells you what glass can be combined. Products such as enamels, gold leaf and Mica Powder can be used with any COE glass. 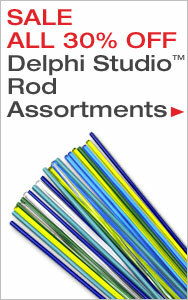 Delphi Tip: Looking for Moretti Rods? This highly popular soft Italian glass can be found in our 104 COE Glass Rods section.